Is poetry dead? or can poetry matter? Earlier this year a quiet and quite active discussion took place in a small corner of the public square. 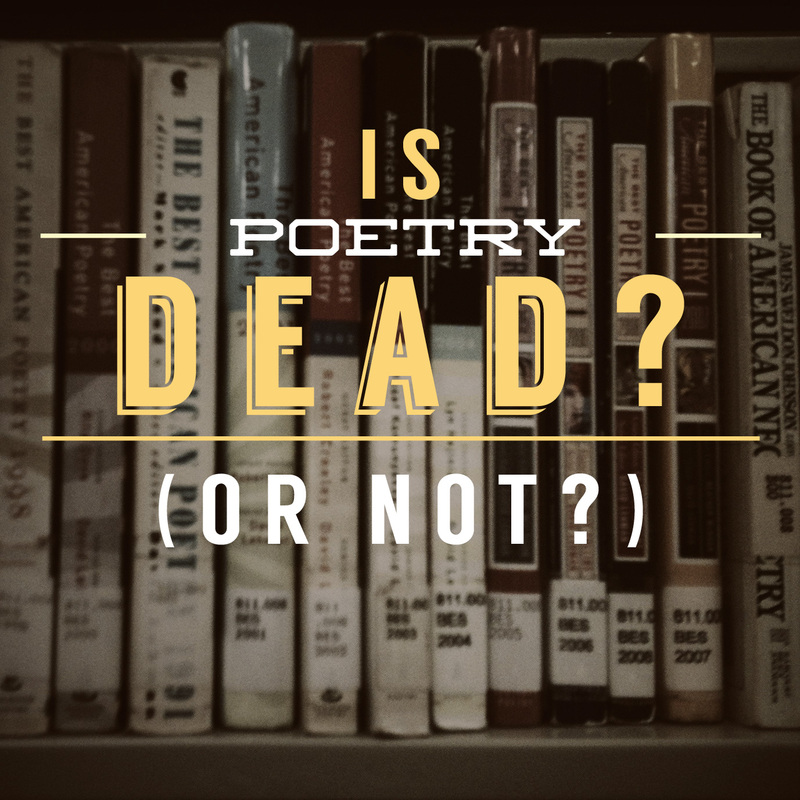 It began with Alexandra Petri’s article “Is Poetry Dead?”  John Deming immediately responded with an “Open Letter to Alexandra Petri.”  A Few days later, Richard Higgs tossed the question to a group of poets and writers. The topic was actively discussed for months. Years ago Dana Gioia asked “Can Poetry Matter?” in his essay published in The Atlantic Monthly   I will not go into a lot of detail about his essay because I do not want to spoil his conclusion, but I do encourage you to read it. Mr. Gioia’s question is a better question than Ms. Petri’s. Introducing great poetry in school is part of the equation as well as encouraging the love of reading books to children. Mr. Gioia offers other ways to promote the reading of and love of poetry. The Academy of American Poets published a report years ago that stated that adults who purchase and read poetry books were introduced to poetry at an early age. Alexandra Petri does present some valid concerns. Like Ms. Petri, I have attended poetry readings where “the attendees were almost without exception students of the poet who were there in the hopes of extra credit.” For that matter, I’ve been that poet (like Charles Bukowski)  reading to an audience of “. . . friends, . . . other poets / and the handful of idiots who have wandered / in / from nowhere.” Mr. Deming makes some equally valid points that poetry is “far from obsolete . . .” As someone in the publishing industry I know that poetry books do sell, but not as well as fiction or non-fiction. But lack of book sales revenue does not mean that poetry books are not effective or revolutionary. How many memoirs or novels have you read that feature a few lines of poetry as an epigraph printed at the beginning of the work? I am convinced that there is a large audience of people that do not know that they enjoy poetry. They have to be introduced to great poetry. The fact that the August 31, 2013 issue of the New York Times featured a large front page photo of the poet Seamus Heaney (printed above the fold in contrast to a small photo of the President of the United States below the fold) testifies to the relevance of poetry in America. Can poetry effect change? The poem “The Names” by Billy Collins was read before a special joint session of Congress in 2002 commemorating the victims of 9/11. Can poetry matter? These are just two examples that attest to it’s impact (if ever so little) in our culture. The Atlantic Monthly; May, 1991; “Can Poetry Matter?”; Volume 267, No. 5; pages 94-106. Charles Bukowski, “poetry readings,” The Writer’s Almanac, September 11, 2008, accessed January 29, 2013 http://writersalmanac.publicradio.org/index.php?date=2008/09/11.